This event is geared to excite to you the world of visual art related to writing. 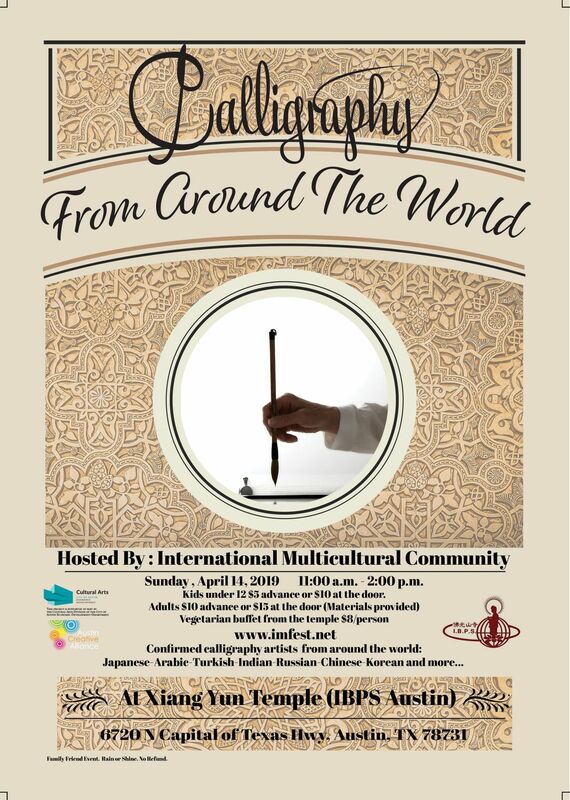 It will be awesome event to learn from local Calligraphy experts from different ethnicities and or continents. These experts will share their knowledge, unique techniques and cultures in the art of calliraphy. We will have artist who represent both modern and traditional calligraphy. Attendees can be adults or kids. You can be begginer or an artist or just enthusiast. If it rains, We will have up to Calligraphy artists, display and learning booth set up inside. And if it Sunny we will set up on the Courtyard Hallways at the Temple. Our amazing partners and venue sponsor , Xaing Yun temple (IBPS) will offer vegetarian lunch buffet to all visitors, $8/each. We are thankful to all the amazing artist. 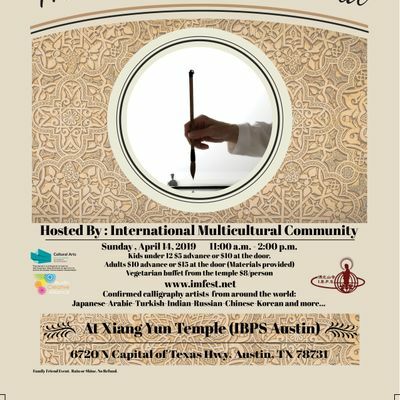 Calligraphy artists who will share their art include Japanese, Arabic, Chinese, Vietnamese, Korean, Turkish and more. All artists bio and credentials will be updated.